Inez V. Otero (Vigil), age 88, born in Pecos, New Mexico and a sixty-seven-year resident of Los Lunas, passed away peacefully on Wednesday, October 17, 2018 surrounded by her loving family. 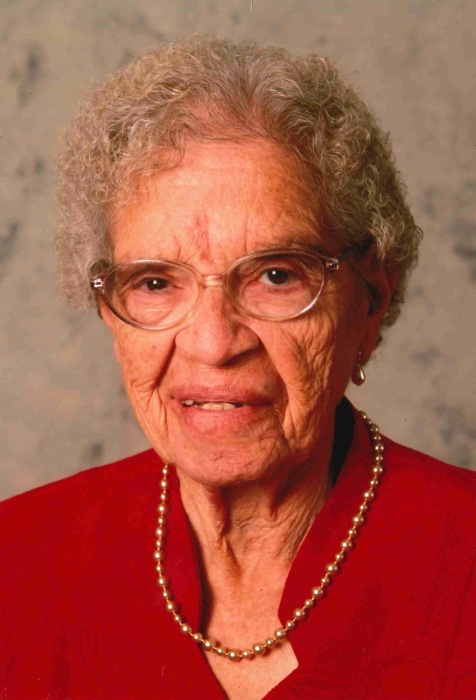 Inez was a wonderful, loving, mother, grandmother, great-grandmother, great-great-grandmother and friend to all. She had a special place in her heart for everyone. She loved to cook, bake, sew and spoil her grandchildren. She enjoyed traveling throughout the state camping and fishing with her husband. Inez was employed by the Los Lunas Public Schools and worked at Bosque Farms Elementary as a cook. She loved having family gatherings; her family was always a very important part of her life as was her faith and belief in God. Inez is survived by her children, Pete Otero and wife, Toni, Helen Raff, Theresa Sanchez and husband, Hector, Dorothy Lovato, Vincent Otero III and wife, Katie; grandchildren, Laura Cordova, Antoinette Otero, Rochelle Gomez, Tonia Sanchez, Nicole Flannigan, Marc Lovato, Eric Otero, Veronica Montoya; thirty-eight great-grandchildren and sixteen great-great-grandchildren; brother, Filimon Vigil; sister, Gloria Barela; sisters-in-law, Susie Otero and Flora Otero and many nieces and nephes. Inez was preceded in death by her beloved husband, Vicente Otero; parents, Antonio and Guadalupe Vigil; brothers, Bartolo, Mauvro and Tomas Vigil; sisters, Rose, Nicky and Josephine; sons-in-law, Theodore (Ted) Raff, Willie Lovato; grandsons, Jeffery and Victor Otero, Hector Sanchez II, Ricardo Sena and great-granddaughter, Delilah Otero. A visitation will be held Monday, October 22, 2018 from 6:00 p.m. until 7:00 p.m. at San Clemente Catholic Church, 244 Luna Ave. SE, Los Lunas with a Rosary to be recited at 7:00 p.m. A final visitation will be held Tuesday, October 23, 2018 from 9:30 a.m. until 10:00 a.m. at San Clemente Catholic Church, 244 Luna Ave. SE, Los Lunas with Mass of Christian Burial to be celebrated at 10:00 a.m. A committal service will be held at 3:00 p.m. at Santa Fe National Cemetery. Pallbearers will be Jacob Gomez, Vincent Otero, Marc Lovato, Sgt. 1st class Paul Ryan Castillo, Eric Otero and Nathan Castillo. Honorary Pallbearers will be Marc Lovato Jr., D.J. Otero, Philip Otero and Gabriel Gutierrez.